Dept. 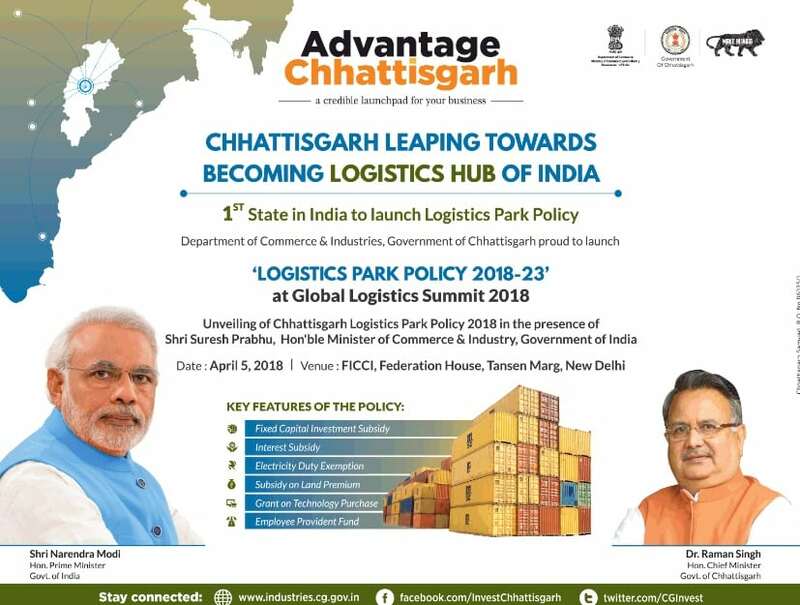 of Commerce & Industries, Chhattisgarh is going to launch Logistics Park Policy 2018 at Global Logistics Summit 2018. “Advantage Chhattisgarh” is a credible launchpad for creation of a leading business destination and to promote ease of doing business. All factors necessary for business development namely, good governance, infrastructure, power, stable labour eco-system, talent pool, mineral resources, and forest produce makes it suitable for investment. 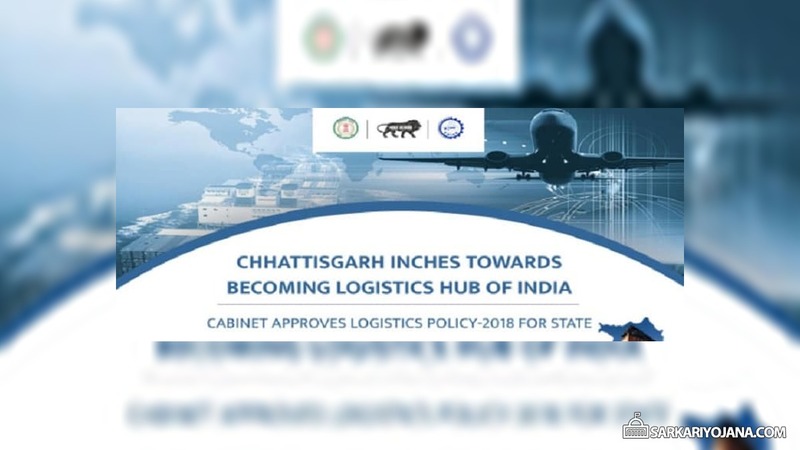 Chhattisgarh will become the 1st state in India to launch Logistics Park Policy 2018 to make it a Logistics Hub. Mr. Suresh Prabhu (Minister of Commerce & Industry) will remain present at the launch event at FICCI, Federation House, New Delhi. 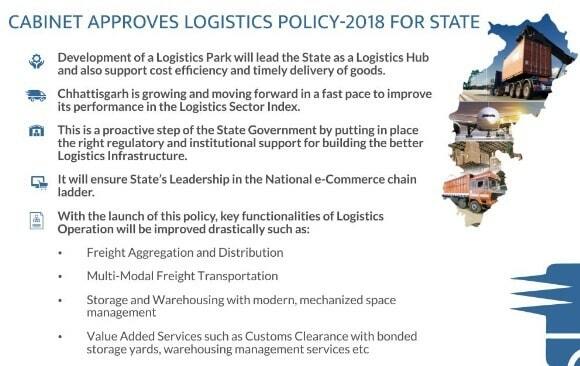 At Global Logistics Summit 2018, the primary objective is to make the state a multi modal transport hub. These reforms enables ease of doing business in the state and attract foreign investment for business and development purposes. Abundance / Availability of Minerals and Metals. Regional Logistics Hub with Rail, Road and Air Connectivity. Agriculture rich areas with abundance of farming. Naya Raipur, First Greenfield Smart City in India.